I am trying my luck with growing eggplant from seeds. I have managed to get the seeds germinate in a small paper cup. Please find the pic attached. 1. If you feel the growth of the seedlings is ok/not ok.
2. what should be the action going forward to safe guard the seedlings so that they grow steady and healthy. 3. When do you think is the right time for transplanting from now. For now I would be very happy if I can make them sustain for a successful growth and produce. Make sure they get enough light and are warm enough. Keep them moist, but don't over water them. If those cups don't have drain holes in them punch some in with a knife carefully. The container with 3 plants they should be carefully transplanted into their own cup when the first true leaves come out. The plants then should not be planted out until about 1-2 weeks after it is very safe to plant out tomatoes, unless you place them in a cold frame, poly tunnel etc. They really need the extra heat to get a good start. Best wishes. CharlieBear wrote: Make sure they get enough light and are warm enough. Keep them moist, but don't over water them. If those cups don't have drain holes in them punch some in with a knife carefully. The container with 3 plants they should be carefully transplanted into their own cup when the first true leaves come out. The plants then should not be planted out until about 1-2 weeks after it is very safe to plant out tomatoes, unless you place them in a cold frame, poly tunnel etc. They really need the extra heat to get a good start. Best wishes. Thanks a lot for the valuable suggestion CharlieBear I will follow your steps. Your seedlings are just that; those are the seed leaves so it isn't really possible to say how growth is going for the plants. "The ideal daytime temperatures should be in the range 80Â° to 90Â° F and night time temperatures should not go below 60Â° to 65Â° F. Eggplant is intolerant of frost, and growth will be significantly retarded if night temperatures are below 60Â° F. "
Best of Luck, with them . Where will you be growing these gogreendiwa? Most places in the US are going to be too cold quickly, so I figure that you are in a very warm zone, with not much winter, or in the southern hemisphere? Here are some photos I took that can give you an idea of how fast the plants will grow. Hope this helps. Looking good. Just give them a spot where they get plenty of sunlight and keep them watered. You can plant them out when they have a couple of new true leaves. What you have in the picture are the seed leaves (cotyledons). The three you planted are too close if that is a final planting. you will need about 3 ft between them as they spread out. Those are in an Earthbox, which usually holds 2 EP, but those are all small varieties - under 3 ft. One, however, grew over 5' tall, because it was in the EB. Petch is a small thai eggplant; very seedy but good for curries. The fruit is small but the plant was only slightly smaller than the larger eggplant. I guess they could be ok if you are going to prune the eggplant. I put one eggplant in a 20 inch pot and it gets to be between three and four feet tall and just as wide. In the ground it can get over 5 ft tall but I only keep them a couple of years since their production will drop. I know people who have kept their eggplant at least 8 years and the pruned ones are about 3 ft tall but can be just as wide. Unpruned they get bare on the bottom but can get up to 6 ft tall. I have tried several varieties of those small, striped green Thai eggplants, and none produced well, or grew very large, right next to other varieties that did great in (almost) the same soil and other conditions. So I had given up on them, until I had such incredible eggplants in the earthboxes last season, and I thought that maybe they would grow well, too. Not much luck, however, and it seems that, much like many eggplants this season, and many in the past as well, they were stopped when the heat got into the 90's, even though it was not as bad as in past years, and didn't even stop my tomatoes. However, several varieties of EP started producing again in the last couple of weeks, and I'm assuming it is from the cooler weather. Neon and Hari produced right through the summer heat. I never trim eggplants, but then, I only have about a 5 month time for them to grow here. I think I snipped the top of the Hari this year, when it got over 7 ft tall, figuring it had gone up enough on that fence! The neon just spread out, and I let it go. It is probably your zone. Eggplants should not mind the heat. They will not hold on to flowers well at 100 degrees but at 90 they still produce. When the days get shorter and cooler the eggplant does not do much growing and the fruit will mature but flowers won't be produced. I live in zone 12 a, and I think I am going to freeze when the temp drops to 49 degrees. Eggplant and peppers won't germinate for me if the temperature is below 65 degrees but the plants will live for years. I do prune my eggplant when it gets too wide or if I have a lot of fungal disease. We have had freak hail and a tornado touched down once and almost touched down on another occasion but those are really unusual occurances, where I live it doesn't even come close to freezing. 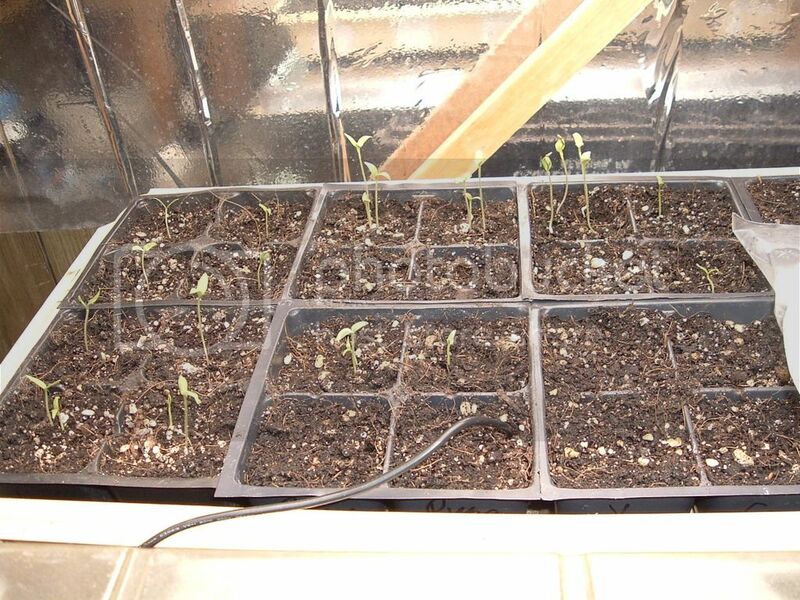 In my experience, it's always been a good idea to organize the germination and seedling process in a few steps. First, germinate the seedlings in small patches of dirt. 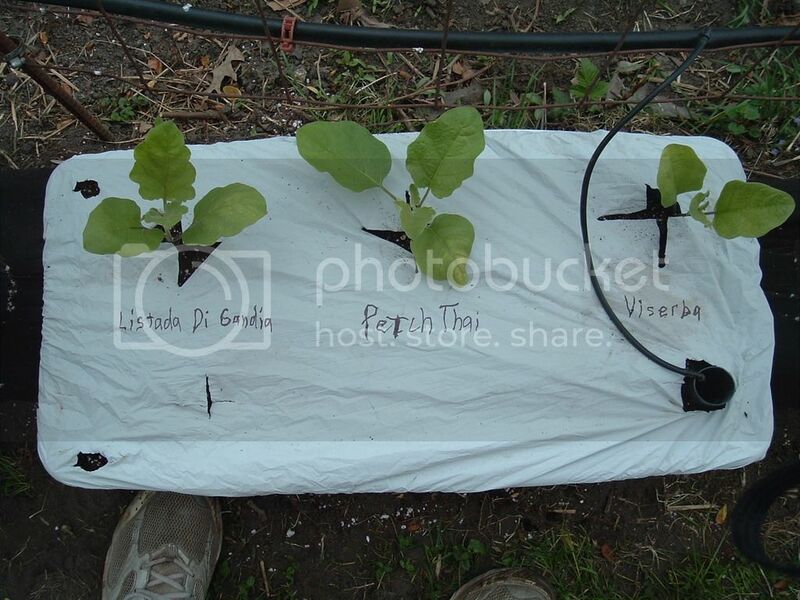 That way they can easily be transplanted or moved to single seedling cups (like the two you're showing in the picture. 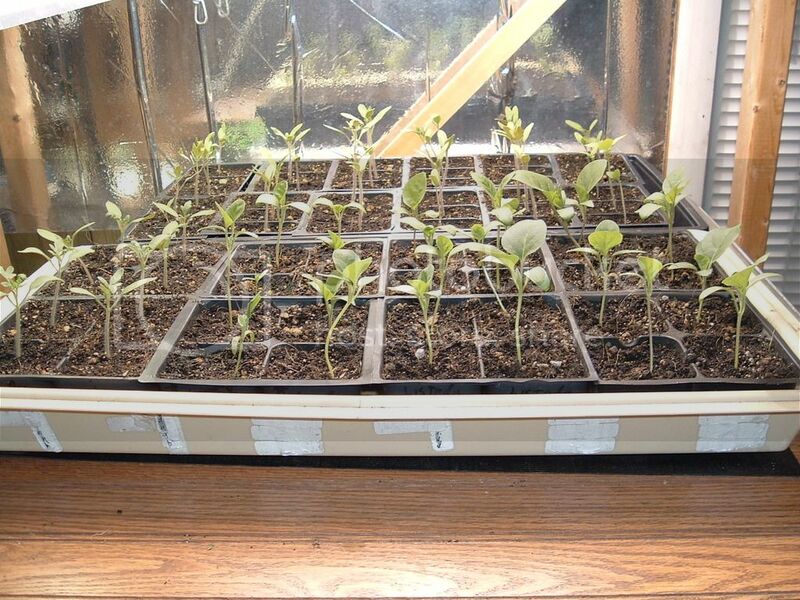 One seedling per cup insures a higher degree of probability that the transplant to garden step is success. The plant roots have had time to develop etc. al. Good luck. I'm starting to think I just can't grow eggplant.